Sydney is coming through a bit of a soft patch, and it mirrors what’s going on around the country. But this is the thing about the city level data. They only give you a macro-level picture. They don’t tell you what’s happening on the ground. Sydney is a massive market. Diverse geographies, diverse segments. 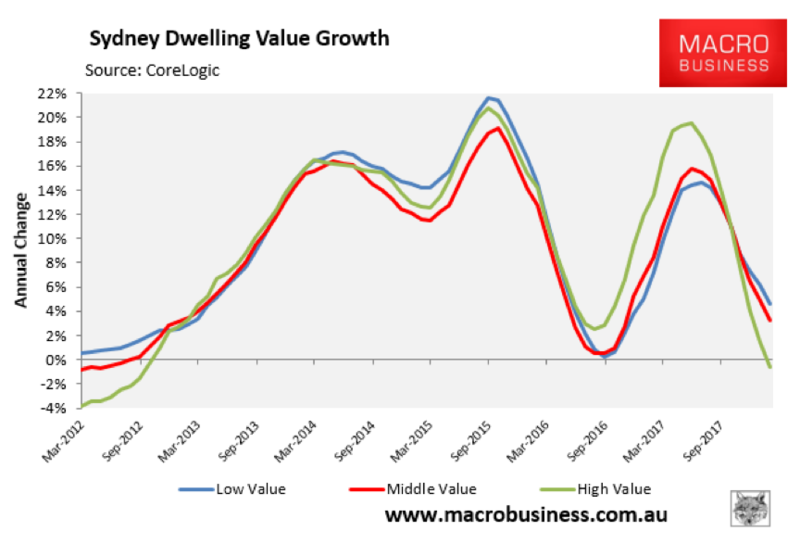 And that’s why I thought CoreLogic’s recent data was interesting. You can break their price data down into ‘tiers’. That is, you can look at the most expensive third of the market, the middle third and the cheapest third. And that’s what this chart does. You can see there’s quite a divergence opening up. While the top end of town is now slightly below where it was last year, the cheaper end of town is up 4.5%. 4.5%! That’s not bad. I can work with that. So the point is that even in a market attracting all these negative headlines, people are still making money. And why are we seeing this divergence open up? A couple of reasons. The first is that we’re seeing fewer overseas (especially Chinese) buyers in the market these days. These buyers were bidding up the top end of town, and you can see that that segment was growing at 20% a year in parts of 2017. That’s pretty epic, but it was never sustainable. And so we’re seeing a predictable wind-back of some of those gains. But without the support of Chinese buyers willing to pay whatever it takes, the crazy market is settling down. The other factor is the financial incentives being offered to first-time buyers. 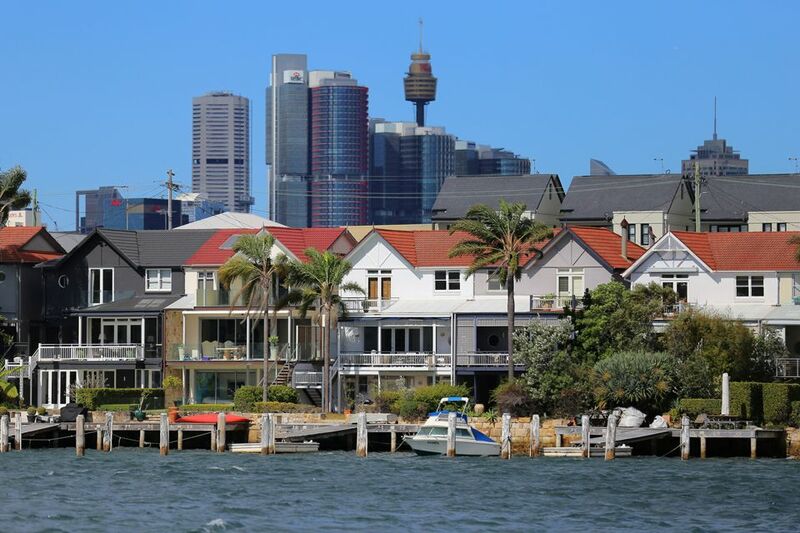 The NSW state government has cut stamp duties for entry levels homes, and that’s given the lower end of the market a boost. So some of the strength is this segment reflects that. And where do investors sit? Well, typically investors aren’t buying high-end properties. You don’t buy a mansion in McMahon’s point expecting to be able to rent it out for a decent return. Investors are typically (or should be!) focused in the lower two-thirds of the market. You don’t want all your eggs in one basket. Ideally, you want a range of properties in a number of different markets. You want a diversified portfolio. That diversity is easier to achieve with a number of cheaper properties than it is with a couple of more expensive ones. So investors are doing ok. The other point is, this is the segment that’s going to receive government support if it needs it. There’s is absolutely no support for propping up the top end of town. But throwing money at first time buyers and the entry-level segment? Huge vote winner. So that actually gives investors in these segments something of a safety net. So stick to your guns folks. The markets that matter are holding up.